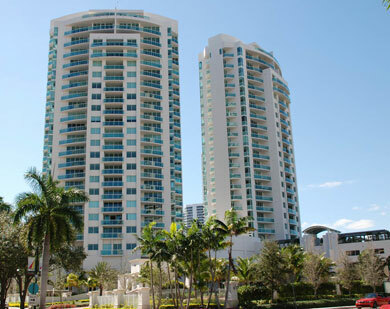 Golf devotees will probably set the two 22 story towers of The Parc at Turnberry Isle condominium in the unique metropolis of Aventura at the top of their list choices when checking out the vast collection of choices in the city. Each building comfortably stands over the Turnberry Isle Country Club, Biscayne Bay, the Intracoastal Waterway and Aventura’s own fantastic horizon. Have a meal at Cheesecake Factory, catch an IMAX film or shop at Aventura Mall, one of the most popular shopping centers that's also near Parc at Turnberry Isle. South Florida is famous for its sunny ambiance and its beaches and you'll find plenty of miles of sunlit sands in Sunny Isles Beach and Hallandale Beach. A couple of minutes south of Parc at Turnberry Isle and Aventura is Bal Harbour and Miami Beach.